“She Loves Me, She Loves Me Not,” the 1997 album from Kiss It Goodbye is getting a vinyl reissue, courtesy of Revelation Records. The album was originally released on vinyl in 97, but according to Discogs, it hasn’t been released again until now. 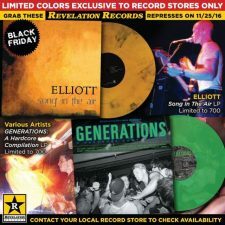 You can pre-order it over at RevHQ, on colored vinyl. The record is set to ship out on May 10th.